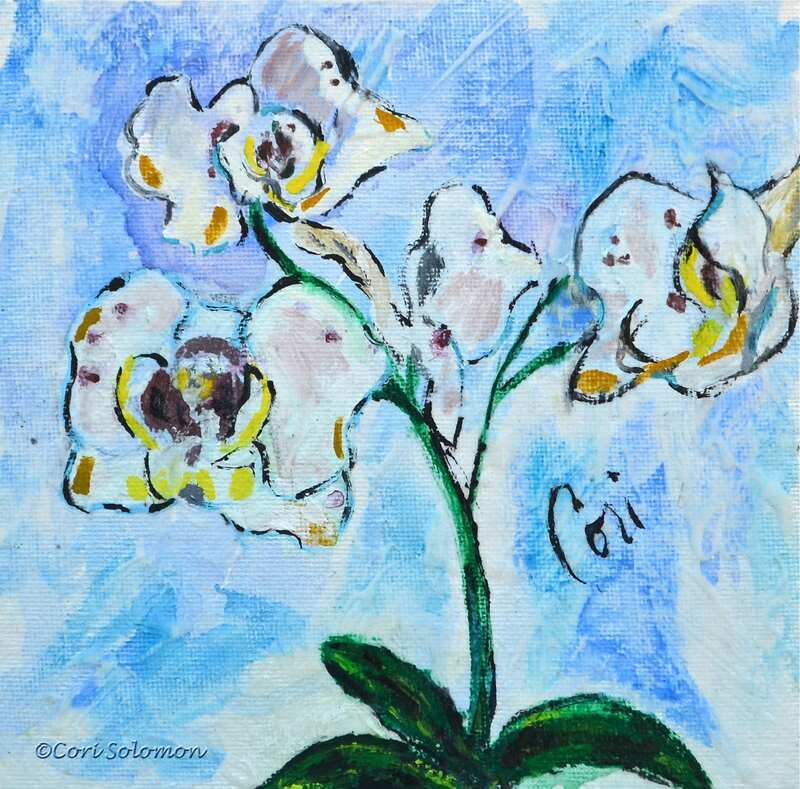 This acrylic painting depicts orchids that were recently blooming in my home. It is always a thrill to see the colorful orchids when they bloom. This painting combines Acrylics and watercolor on canvas.